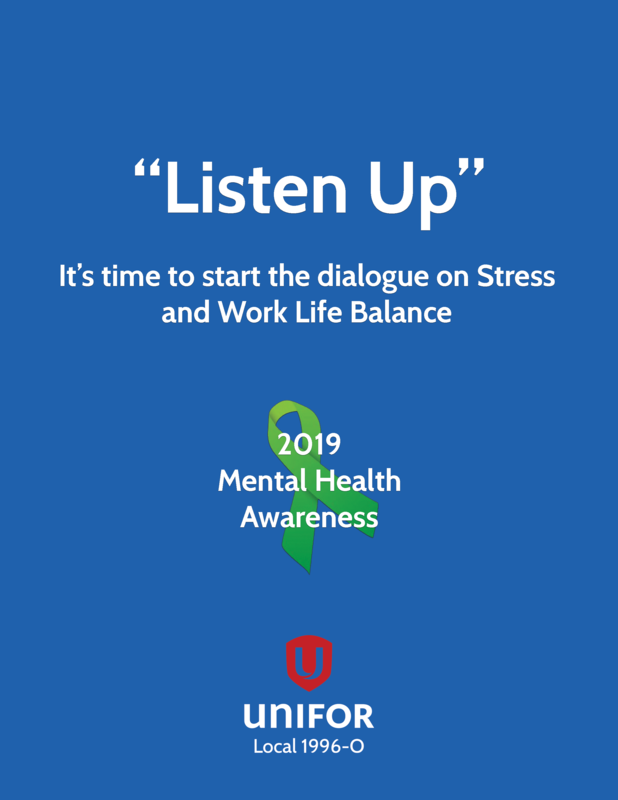 Sisters and Brothers, it is with great pride that we announce that Unifor Locals 25 and 26 have decided to join our “Listen up” initiative. This is a very positive step for our Local and all its members. Congratulations Sisters and Brothers. 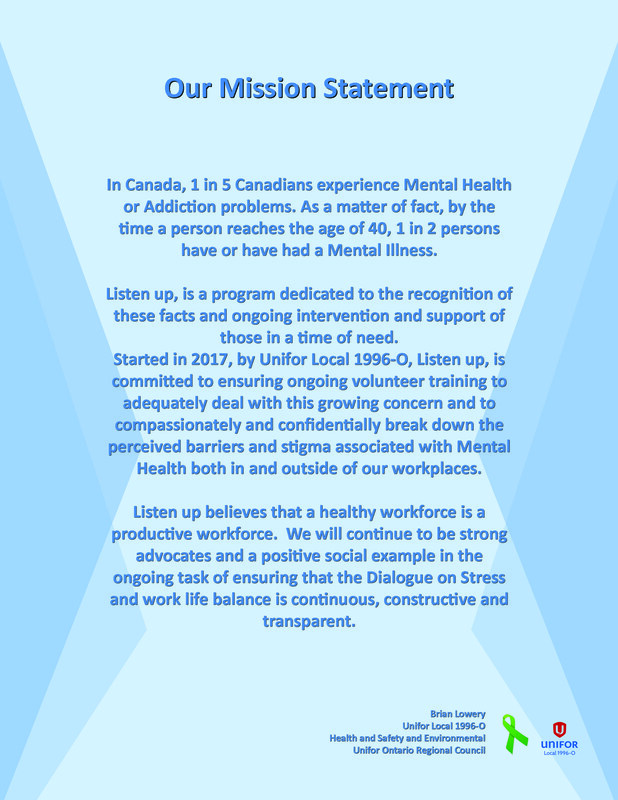 It’s time to start the dialogue on Stress and Work life balance!